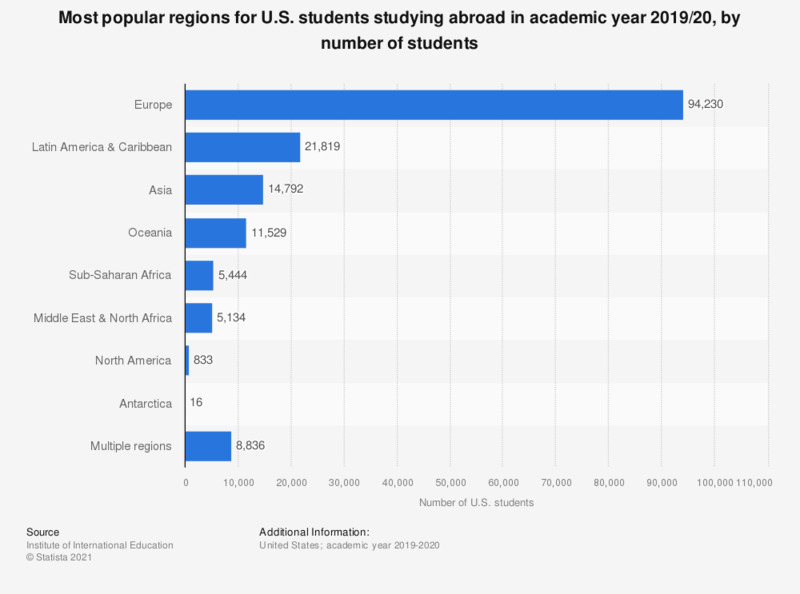 This statistic shows regions that were the most popular amongst U.S. students studying abroad in the 2016/17 academic year. There were 181,145 American students were studying in Europe that year. Cyprus and Turkey are included in Europe; Mexico is included in Latin America.